The Patriot Fire Pit. Photo courtesy of Ohio Flame. Digging It features shorts on things interesting, happening and trending in the worlds of gardening, horticulture, garden and landscape design, outdoor décor, architecture, style, food & drink and more—from new products and services to exhibits and tours. This outdoor accent provides a beautiful and practical way to keep the home fires burning. Nothing knocks the chill out of the fall air quite like a roaring fire, and portable wood-burning fire pits let you add a bit of cozy warmth almost anywhere—extending the alfresco season well into late fall. 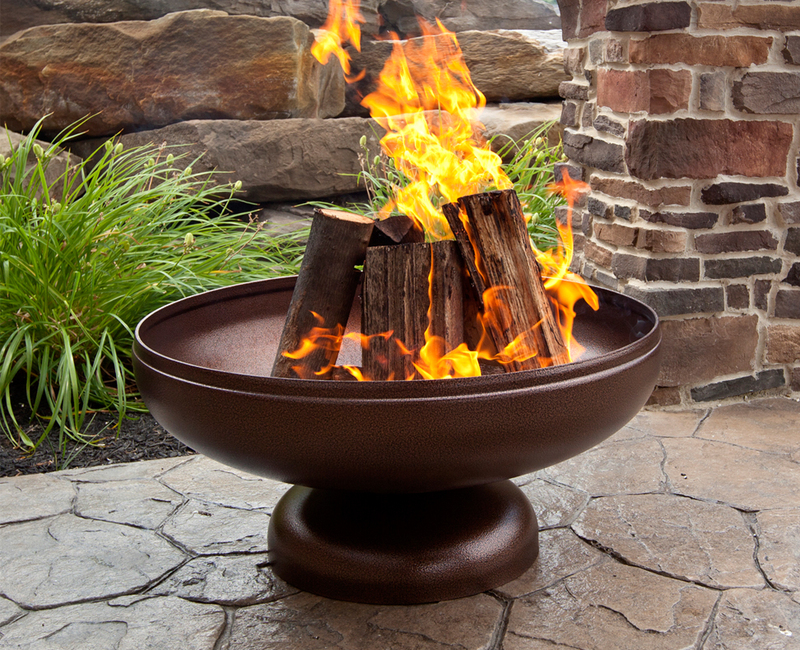 The Patriot, Ohio Flame’s bowl-shaped fire pit, is made from sturdy, long-lasting carbon steel, which will acquire a rich patina over time. Conducive to social gatherings, it’s the ideal centerpiece for spending outdoor time with family and friends, roasting marshmallows or quiet, romantic moments with that special someone. $249.99; ohioflame.com. This entry was posted in Back Yard, Outdoor Decor, Patios, Uncategorized and tagged fire pit, fire pits, firepit, firepits, Ohio Flame, The Patriot. Bookmark the permalink. Great Web site for Ohio Flame, with every one of my questions answered right there. This is a lovely thing and surely worth the price. Cannot wait to get one, although they are not recommended for the deck.